> Events in New York > Broadway Tonite Live! It’s a highly paced musical revue consisting of young, attractive, multi-talented singers and dancers. Each performer is a top notch Broadway professional, with numerous Broadway credits. 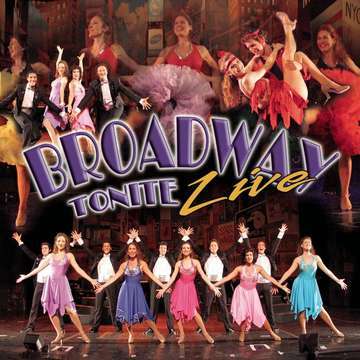 This Broadway Tribute will take you through Broadway’s greatest hits, filling the stage with beautiful costumes, dramatic singing, exciting choreography and dynamic music and dancing. They will be performing some of the songs from hit Broadway shows such as: Cats, West Side Story, Phantom of The Opera, A Chorus Line, Cabaret, Anything Goes, Chicago, & 42nd Street. Spend the afternoon enjoying the hits that made Broadway famous!